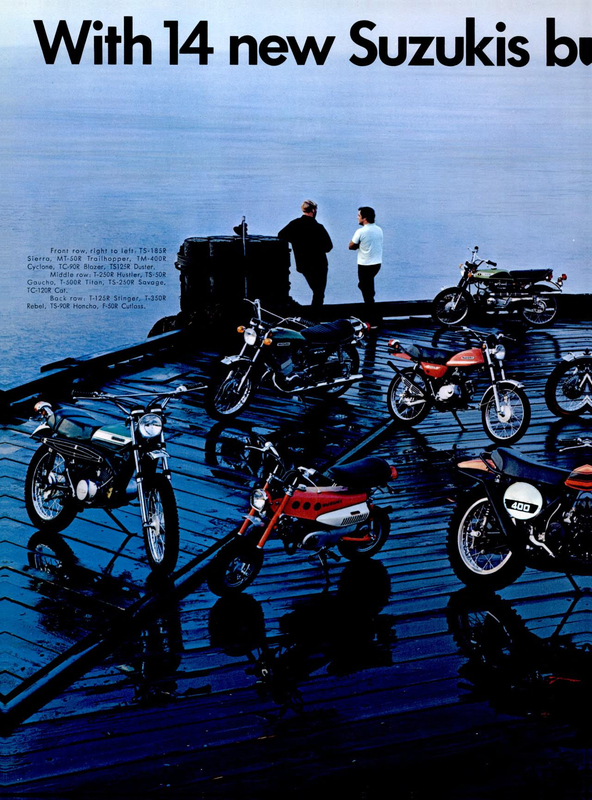 The following ad is for Suzuki motorcycles in 1971. 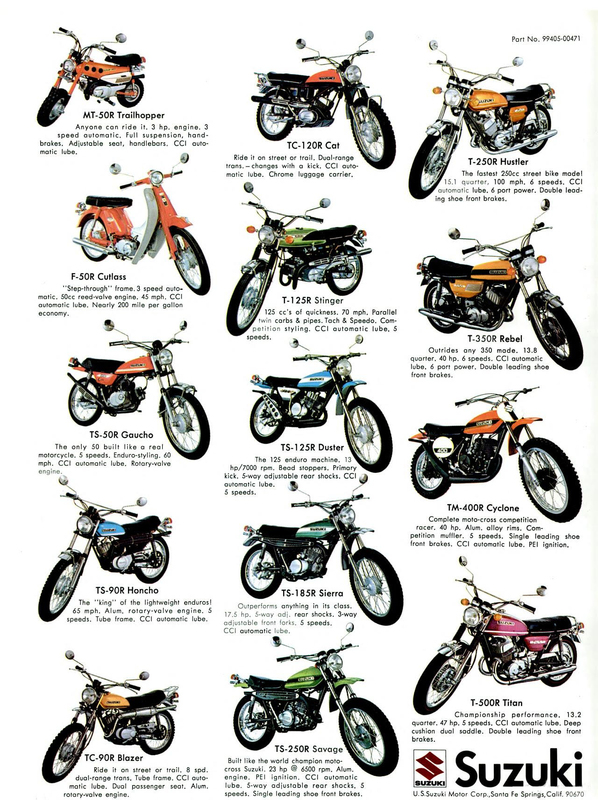 It's a four page advertisement and shows Suzuki's entire line up for that year. 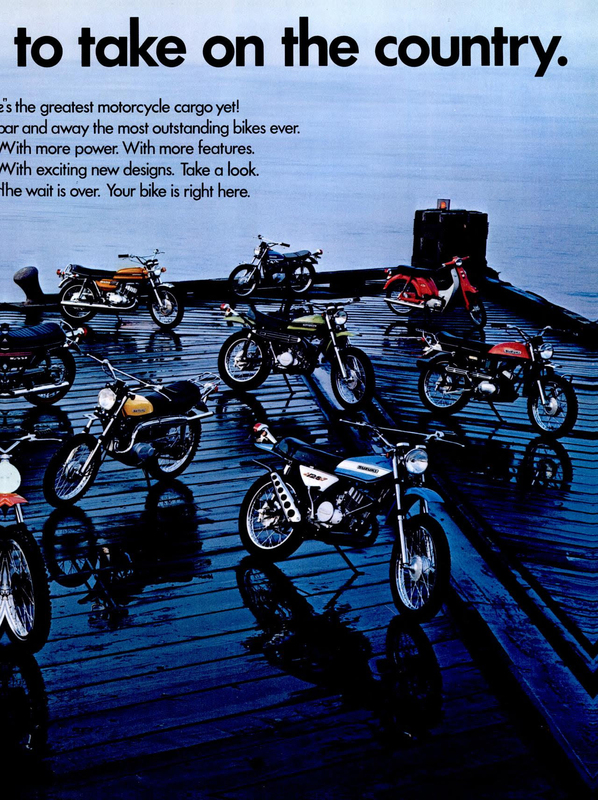 All motorcycle's range in size from 50cc to 500cc, and I believe they are all 2 stroke powered motorcycles. This is a perfect example of an American market that Harley Davidson and Indian motorcycle paid little attention to because the profit margin for smaller motorcycles is not as profitable as it is for big bikes. The invasion into this market started with the British twins and ended with small and fast Japanese motorcycles. Today Suzuki has a motorcycle line up that includes every size and every type of motorcycle sold today, and they even sell ATV's. I think it was a huge mistake for the American motorcycle industry to leave this market segment wide open for foreign competition. 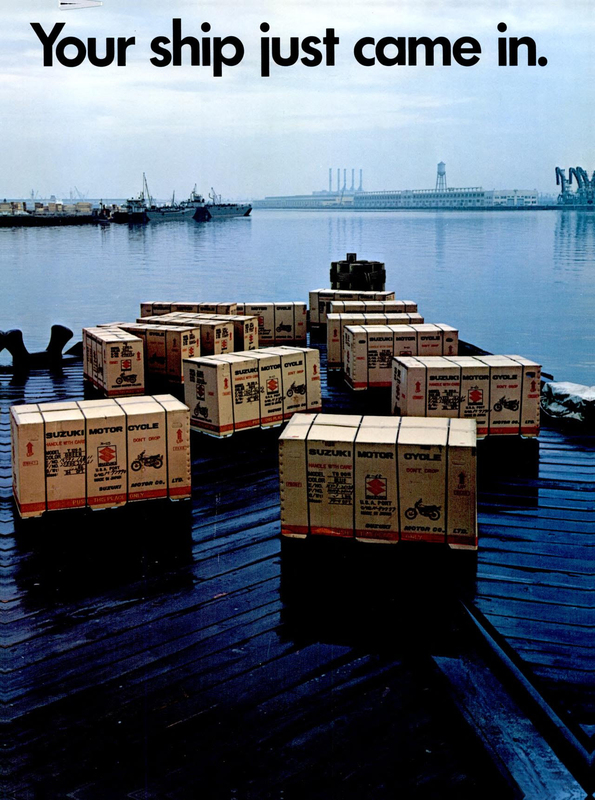 Harley Davidson's answer for the Japanese motorcycle invasion was to brand Italian, Aermacchi motorcycles with their label, but it didn't work; it was too little too late.